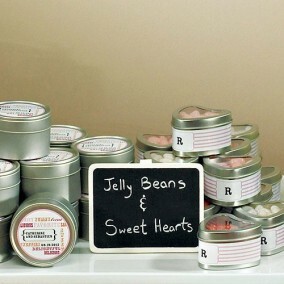 Inspire the creative talents of your guests with these delightful favors! The mini blackboards are magnificently shaped with softly flowing curved borders, reminiscent of old Victorian framed paintings. Each blackboard stands on a miniature natural wood easel place card holder just waiting for those oils and brushes! 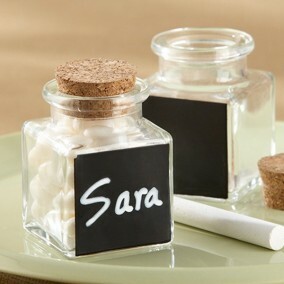 With ample space to be creative, you have the freedom to design a personalized welcome message for each guest. These favors are sure to be a conversation starter at weddings, baby showers, birthday parties and religious events. Once the ice is broken and ideas start flowing, you will find you have a studio of artists, creating mini works of inspiration to take home! 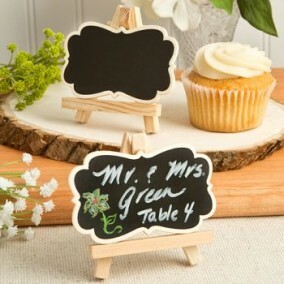 For a romantic event, why not leave the blackboards blank and allow the couples to write love inspired messages to one another! These will be favors to treasure and keep forever. 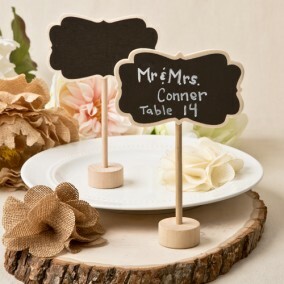 The blackboard and easel are elegantly crafted from natural wood. Each blackboard features a stylishly curved Victorian shaped border. The easel perfectly accommodates the blackboard to create a mini art studio piece. Ample space to write a personal message or seating assignments. Easily matches any color palette to blend in with the theme of your function. 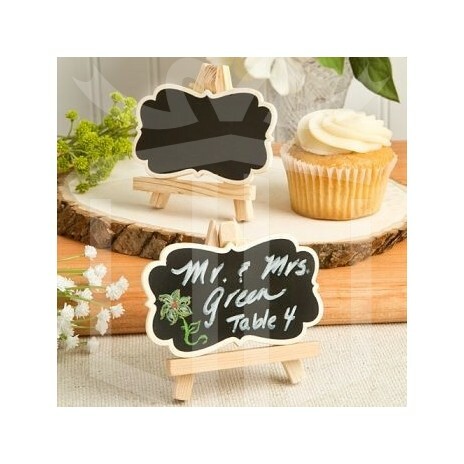 This fun and unique favor will delight your guests at weddings, baby showers, christenings and other special occasions.